I’ve written, before, about a neat, DIY boat called the Puddle Duck Racer. A few years ago I priced it out at less than $200. I’ve also said that I doubt that there’s a group of sailors who have more fun than the Puddle Duckers. 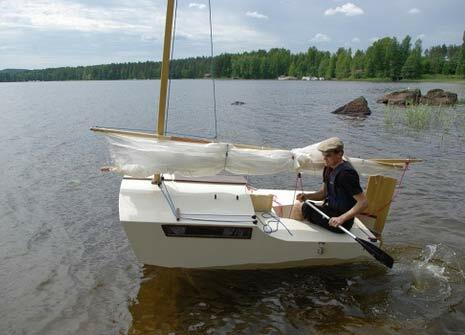 A PDR is a “class” sailboat, just like an Optimist Pram, but those go for as much as a grand plus. A “class” sailboat means that they all meet certain criteria so that they can compete against one another without a handicapping system. The bottom rocker of all Puddle Ducks is exactly the same. I found this on the Duckworth site this morning in a post by Paul Cook of Las Cruces, NM. 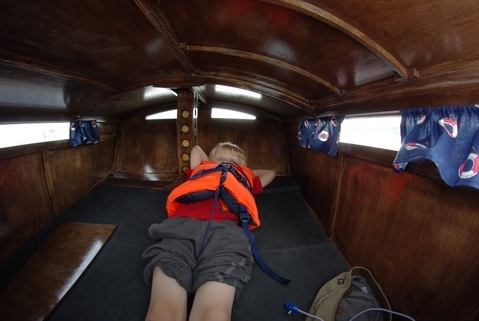 What other sailboat class has a “land speed record” category? So far no one has submitted an entry to this record but I’m sure someone is working on it. 2 – May use any vertical or horizontal fins, or wheels & attached apparatus such as frame, structures etc. 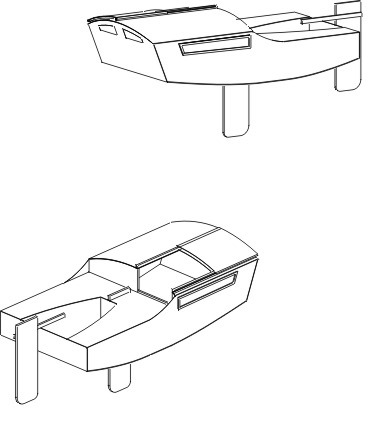 Also the hull may end up only being a cockpit for the land sailor carridge, but that is OK for this challenge. 3 – Skipper must remain in the boat for the entire distance, however all crew may be changed without limitation. 4 – Boat must be propelled by mother nature or human, no motors. Towing with a bicycle is OK, coasting down hill is OK.
5 – For distance record, you may make laps, if you have a GPS that logs distance traveled, you may use that for calculating distance traveled (does not have to be point to point). 6 – For speed record, you can use peak GPS or submit other means that used to calculate speed. 7 – Water must go, or be under the hull at some point in the record attempt. This might be as simple as duct taping a bottle of water under the hull, going over a puddle, or having the final stretch run into the lake. This record shall be reset at the end of each year. Rules 4 and 7 are my favorites.